PS Vita, PSP, and PSone Classic games on your TV. Sony is bringing PS Vita to the big screen. 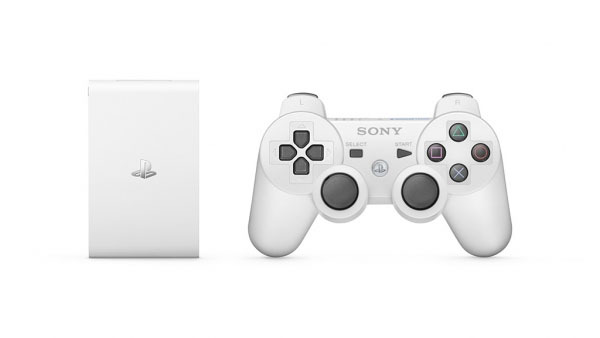 Announced at its SCEJA Press Conference in Tokyo, PlayStation Vita TV is a new, TV-connected platform that will allow users to access games, video services, and other content. The new platform, 6.5 by 10.5 centimeters in size, uses the chip sets and system software of PS Vita and supports over 1,300 PS Vita, PSP, and PSone Classic games. It also supports video services like Tsutaya TV, Nico Nico Douga, and Hulu, and network services like PlayStation Plus, e-mail, web browsing, and more. Through a future firmware update, the console can also act as a PlayStation 4 remote play device. Just as PS Vita can remotely play PlayStation 4 games, PlayStation Vita TV can do the same. PlayStation Vita TV will launch first in Japan on November 14 for 9,480 yen (9,945 yen with tax). A “Value Pack” including a DualShock 3 controller and 8 gigabyte memory card will be available on the same day for 14,280 yen (14,994 yen with tax). Watch the promotion video below. View the first images at the gallery.